While asthma is a manageable disease, it's also the third leading cause of hospitalization among children under the age of 15. Report from American Lung Association finds many kids may not have quick, reliable access to lifesaving medicine at schools. Asthma is a manageable disease, but for the more than 6 million children in the U.S. living with asthma, many may not have quick access to lifesaving medicine at schools, according to a report from the American Lung Association. One study found that over 60 percent of asthma deaths in children came from a sudden asthma attack, rather than from the gradual worsening of symptoms. Quick access to asthma medications is key, yet many students may face barriers to accessing these medications quickly. According to the “Improving Access to Asthma Medication in Schools” report, barriers include the inability of a child to self-carry an asthma inhaler or lack of access to a school nurse during the school day, after-school daycare or off-campus school activities. Asthma is the third leading cause of hospitalization among children under the age of 15 and one of the main reasons that students miss school due to illness, with more than 10 million lost school days every year. Children with asthma should learn about their triggers, symptoms and asthma medications so they can learn the skills to manage their asthma and the steps to use asthma medication correctly through Open Airways For Schools®. Parents and guardians should communicate with the school at the beginning of the school year about managing their child’s asthma in school and by preparing their child with asthma for a successful school year. 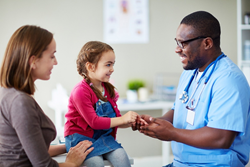 To tell if a child is prepared to self-carry a quick-relief inhaler, the Lung Association offers the Student Readiness Assessment Tool, which parents can use and share with a school nurse or healthcare provider. School personnel can learn more about best practices to improve asthma management in schools and to help ensure that students with asthma have immediate access to quick relief medication, schools should consider stocking quick-relief medicine through standing orders. Everyone can learn how to recognize and manage asthma triggers, as well as how to respond to a breathing emergency through Asthma Basics. For a full toolkit and free resources, visit Lung.org/asthma-in-schools. For media interested in speaking with an expert resource about asthma management, including in schools, contact Allison MacMunn at 312-801-7628 or Media(at)Lung(dot)org.